The change in production to 41 units an hour from 65 at GM's CAMI plant will result in the elimination of 625 positions at the plant in late August. INGERSOLL, ONT. 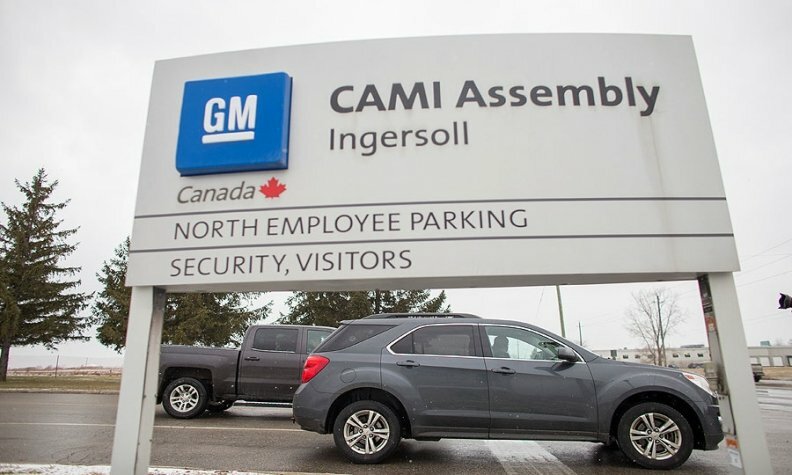 — Unifor Local 88, which represents more than 3,000 hourly employees at the General Motors CAMI plant in Ingersoll, Ont., is hoping a petition to the federal government will help secure and maintain production and staffing numbers at the factory. The petition, which began April 6 and is available in hard copy and online, is gaining traction. The two versions of the petition now have more than 3,500 signatures combined, including various Unifor locals and members of the Ingersoll community, according to Local 88 President Dan Borthwick. He said the petition is the latest notification by the local to create awareness about the plant’s long-term future. GM announced in January 2017 that production of the next-generation GMC Terrain utility vehicle will be moved to a plant in Mexico from Ingersoll later this year. GM will also suspend production of the second-generation Chevrolet Equinox utility vehicle on July 13, according to the union. After that, Ingersoll will produce only the third-generation Equinox. GM CAMI Ingersoll workers have built the Equinox since 2005 and the Terrain since 2010. The change in production to 41 units an hour from 65 will result in the elimination of 625 positions at the plant in late August, and Borthwick said there is no indication the workers will be brought back. The four-year contract between Local 88 and GM ends in September. The union said on July 7 that about 200 union members have agreed to accept early retirement packages while about 400 more, possibly fewer, will be out of a job at the end of August. The petition, sponsored by Essex NDP MP Tracey Ramsey, closes Aug. 4.